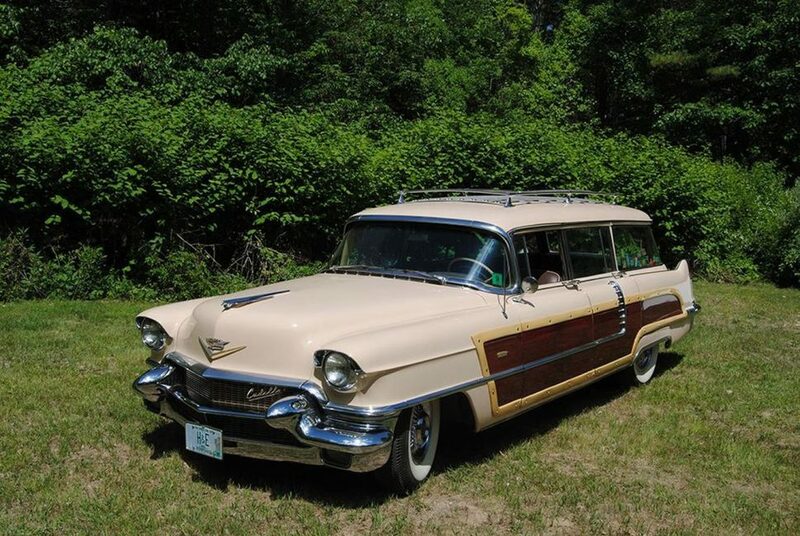 There was no shortage of luxury sedan, coupe, and convertible models from Cadillac in 1956, but buyers wanting a luxury station wagon were (mostly) out of luck. 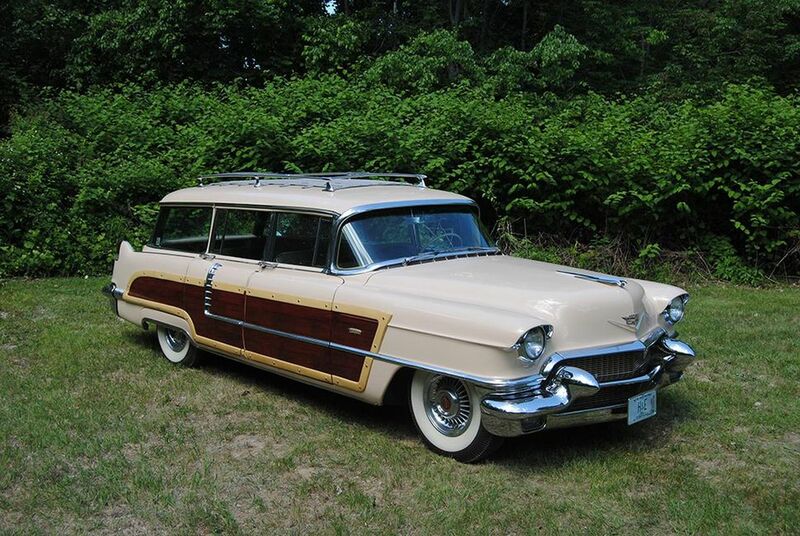 Enter coachbuilder Hess & Eisenhardt, that began building Cadillac woodie station wagons in extremely low volumes in 1955, carrying production over into 1956. Of 19 that were built, just seven View Master woodies are known to remain, and one of them — a six-seat 1956 View Master with the optional Eldorado V-8 — will cross the auction block later this month, part of the New England Auto Auction to benefit the Owls Head Transportation Museum in Owls Head, Maine. It isn’t clear how much View Masters sold for when new, but as a coachbuilt Cadillac, the price was almost certainly stratospheric. Celebrity owners were said to include boxer Joe Louis, actors Dean Martin, and Burt Lancaster, and business mogul Earle Gamble (of Procter & Gamble fame). 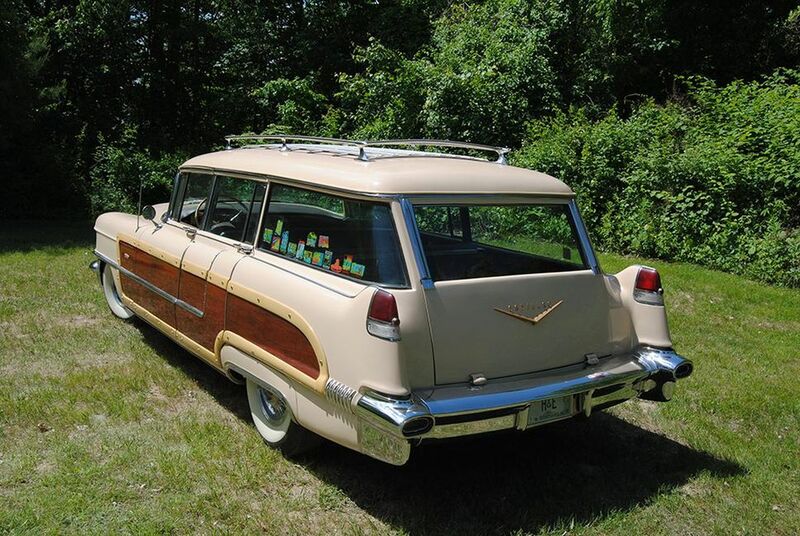 Cadillac options were available to buyers, and Hess & Eisenhardt even offered a full-length roof rack to increase the wagon’s carrying capacity. The View Master was constructed on a modified version of the 129-inch Series 62 chassis, enhanced with a Series 86 commercial-duty cowl and floorpan. In 1955, the first year of View Master production, the standard engine was a 331-cu.in. overhead-valve V-8, fed by a single four-barrel carburetor and rated at 250 horsepower. Buyers wanting more thrust could opt for the Eldorado’s V-8, which produced 270 horsepower thanks to its dual four-barrel carburetor setup. 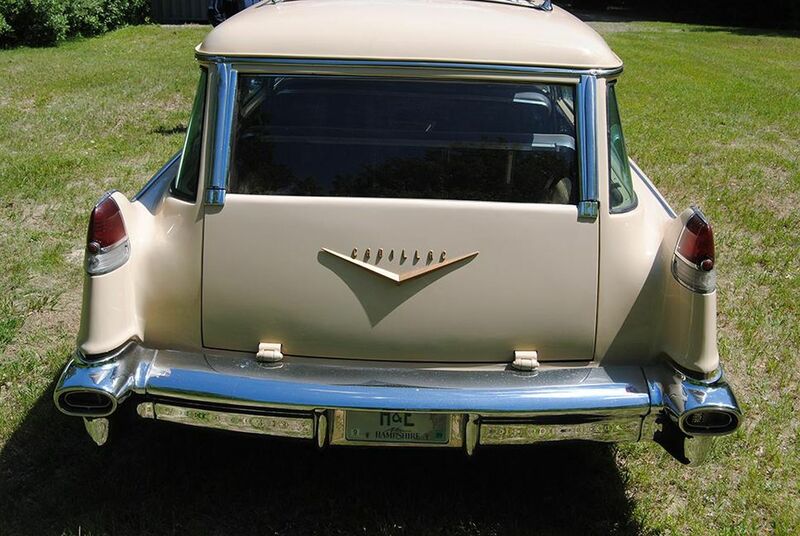 A total of 12 View Master station wagons were produced in 1955, including the prototype, which was the only example not ornamented with DI-NOC and fiberglass “wood” trim. For 1956, Cadillac’s V-8 grew in size to 365-cu.in. and received a bump in compression from 9.00:1 to 9.75:1. 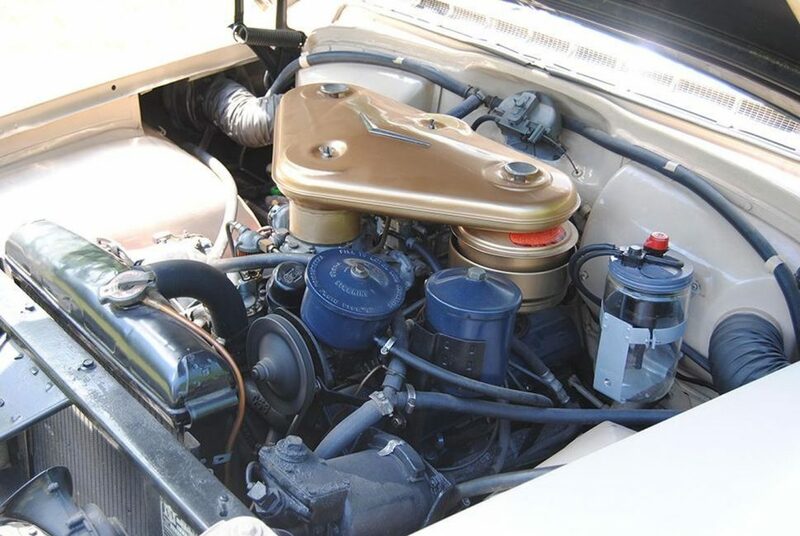 As a result, output of the standard Series 62 model grew to 285 horsepower, while the Eldorado V-8 (recognizable by its “batwing” air cleaner, feeding two four-barrel carburetors) increased to 305 horsepower. Hess & Eisenhardt offered both six- and nine-passenger variants, with the majority of buyers choosing the three-row layout. Head room is scant, leg room is limited, and at best it’s only wide enough for two passengers. As a kid’s seat, it’s a bell-ringer, however, for the passengers sit up high and the visibility is excellent. Hess & Eisenhardt also built another Cadillac station wagon in 1955-’56, specifically for the Broadmoor Hotel in Colorado Springs, Colorado. Starting with a Series 86 commercial chassis, the coachbuilder added a modified Sayers and Scoville hearse body, large enough to accommodate four rows of seats. Six such models were built in 1955, followed by two more in ’56, with some receiving a roll-back canvas roof and others getting a four-panel Plexiglas roof. 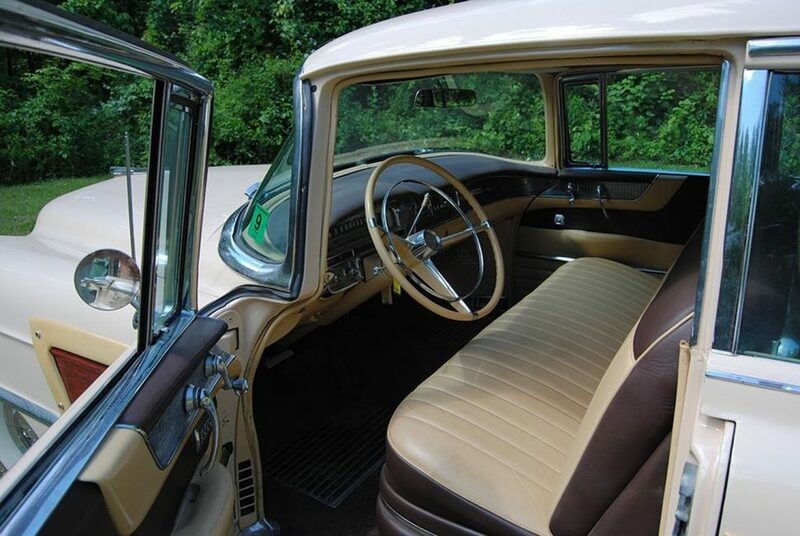 Called the Skyview, all were finished in red with tan window trim, and none were adorned with DI-NOC “wood” trim. Offered from a private collection of Cadillacs, the example set to cross the stage at Owls Head is said to be in very good overall condition, with its coachwork and interior rated as excellent. Equipped with the 305-hp, Eldorado-spec V-8, the View Master is expected to sell between $75,000 and $90,000, according to Owls Head. The 2018 New England Auto Auction takes place at the Owls Head Transportation Museum on August 17-18. For additional details, visit OwlsHead.org.